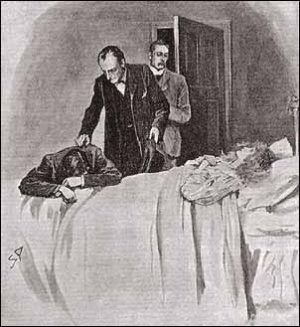 One of the more comical openings to a story occurred in "The Adventure of the Beryl Coronet," in which the banker Alexander Holder raced his way through to snow to 221B Baker Street, which he followed by beating his head against the wall. You don't get much more dramatic than that. But when it comes to reporting the crime, would the criminal, Holder, or the owner of the beryl coronet have been more at risk if the details came to light? After all, the coronet was a public holding and its absence could have been an embarrassment. 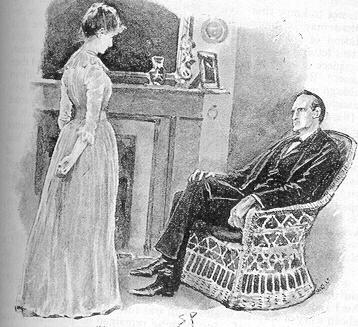 One of the most puzzling passages in the Sherlock Holmes stories is when Mrs. Watson referred to her husband, the good Doctor, as "James." However, we know that his given name is John. What could be afoot here? Was it a typo? An impostor? A slip of the tongue? We review some of the longstanding theories and even provide a few of our own to see if we might get to the bottom of this mystery. 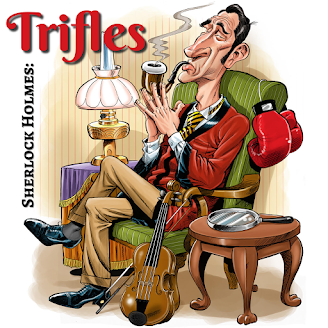 "The Adventure of the Man with the Twisted Lip"
The Sherlock Holmes stories are filled with hints of dates, places and people that cause them to be intertwined with reality. 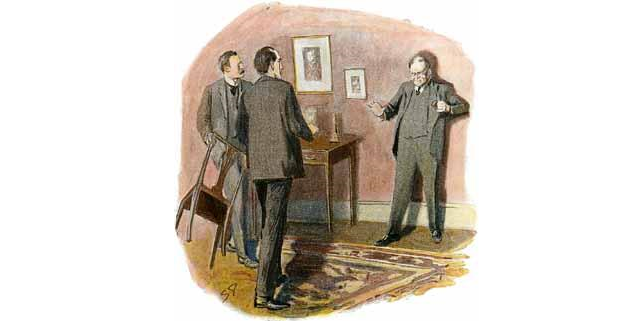 It is therefore natural to think that we can arrive at some certainty as to the date of an adventure when Watson gives us a specific month in which a case begins. It is also wrong to think so. "The Adventure of the Missing Three-Quarter" is one such example. We're given a February date (hence the release date of this episode) and yet, as we can plainly see, that date is impossible, given other facts. 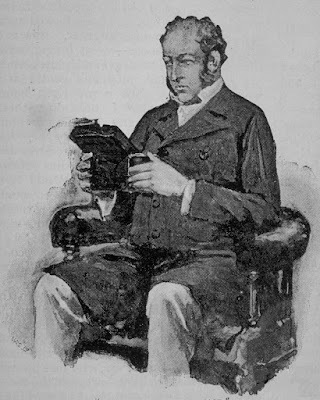 So we follow the path of many Canonical chronologists who attempted to determine the actual date of this adventure, using logic and history as our guide. Were they right? Tune in to find out. "The Adventure of the Missing Three-Quarter"